We obviously love dogs, but we also feel strongly that we are helping make people’s lives better. The experience of seeing a happy dog and a grateful pet parent after a day of play is very fulfilling. It has been a long and winding road in the pet care for Dan Rubenstein, the founder of PUPS. In July 1999 Dan was working for Accenture as a technology consultant when he enlisted the help of a pet exercising service for his dog Sydney, a 172 pound St. Bernard. Dan was working long hours and felt bad that Sydney would spend the entire day home alone. Sydney thoroughly enjoyed the service. Dan could tell by how much he enjoyed it by how happy and tired Sydney was when returned home from work – not to mention the inordinate amount of dirt and grass Sydney would leave as a present for Dan on his bed after a play day! July 30th, 1999, was one of the hottest days of record in Chicago history. The weather wasn’t safe for humans and certainly not safe for a cold weather dog like a St. Bernard. Despite explicit instructions to leave Sydney in the apartment if the temperature exceeded 80 degrees, the exercising service neglectfully ignored Dan’s wishes, picked Sydney up for daycare, and had him playing outside in the heat without water or cool shelter for over 2 hours. As a result of their neglectful actions, Sydney lost his life after a 14 hour battle against the complications from heat stroke. Dan and Dr. Marla Minuskin of Family Pet Animal Hospital tried to save him, but it was too late and there was too much irreversible damage – Sydney passed away on July 31st, 1999. Dan was emotionally devasted but shortly thereafter made a decision to turn this tragic event into something positive. Dan’s first doggie daycare, All for Doggies was born as a tribute to Sydney with a vow never to allow anything like what Dan and Sydney experienced happen to another pet parent or their dog! Not long after the loss of his dog, Sydney, Dan quit his job at Accenture and founded All For Doggies out of his apartment in Lakeview. He studied dog training and behavior and started the company with dog walking and pet sitting services. All For Doggies opened a store on the far west side in Chicago at Grand and Kilbourne. The store quickly gained notoriety as a premier store for pet care. 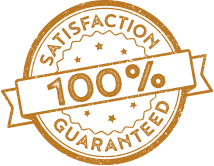 All for Doggies was featured locally and nationally on all of the news stations as clients were thrilled that this type of service has become available in Chicago. All for Doggies had over 3,000 clients and was nationally recognized as a leader in the industry. AFD was featured nationally on WGN and received recognition from industry trade organizations and journals as an innovator and leader in the pet services industry. After considering expansion options, Dan voluntarily decided to sell All For Doggies for personal reasons. Dan doesn’t live with regret but to this day, he will tell you that if he had it to do over again, he would have stuck with the business. Dan launched KennelSource, a technology and consulting firm for pet care businesses with a featured product called “Pawtracker”. Pawtracker was used by over 125 daycare businesses across the country. Dan moved back to NYC and was out of the pet care business for almost a year. He then started SPOT, a new dog daycare company, in late 2005. He opens his first store in Tribeca in May of 2006. SPOT in Tribeca gained local and national recognition for excellence in pet care. The company was featured in The New York Time, The New York Post, The Wall Street Journal, all the major TV stations and some cable news outlets. SPOT acquired a large client base that included many high profile celebrities but remained rooted in its principal mission to provide exceptional pet care and exceptional customer service. Celebrity or not, customers and their dogs were treated as part of the family. SPOT opened another flagship store in Chelsea. SPOT formed a joint venture for Overnight Camp in upstate NY. SPOT acquired Camp Canine’s 2 stores on NYC’s Upper West Side as Dan sought to aggressively build the business. Camp Canine’s stores were rebranded and operated as SPOT stores. Dan sells his interest in SPOT and moves to Florida to pursue other business interests. Dan moved back to Chicago. 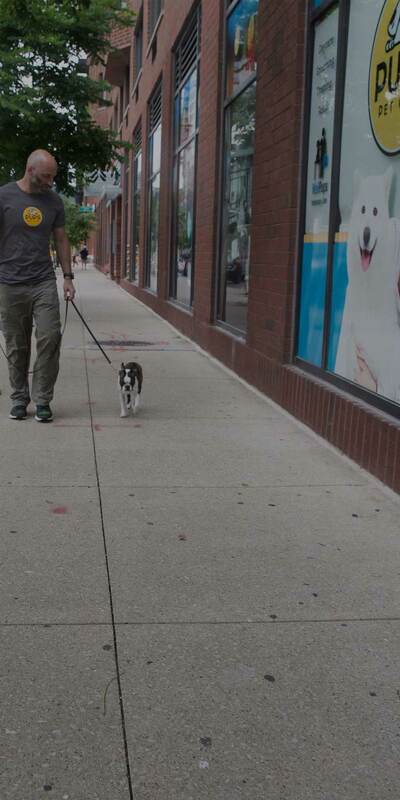 After a couple of years of being out of the pet industry, Dan launched PUPS with a fresh perspective of how to become Chicago’s premier pet care provider. Because of his vast experience and the great team he has around him, the company is poised to do great things and have a positive impact on the lives of the dogs we care for, the pet parents we support, and the communities that we are a part of. Come join and be part of a growing family that has a track record of success in the dog daycare business that stems from the guiding principle of excellence in pet care and customer service. PUPS opened its first store here in Chicago in the River North neighborhood.